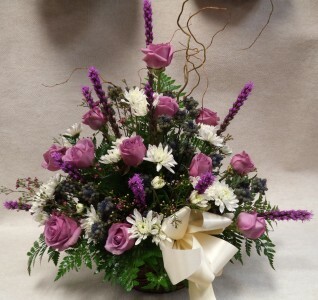 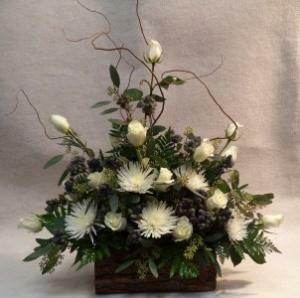 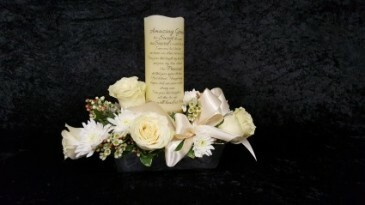 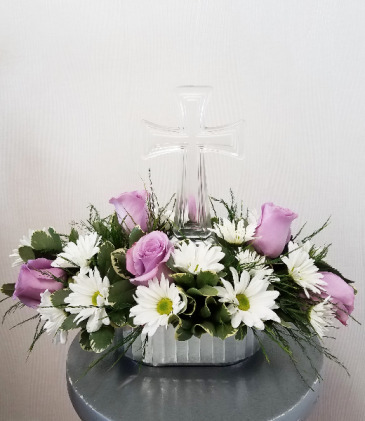 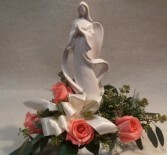 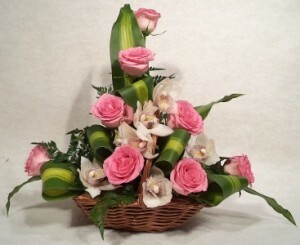 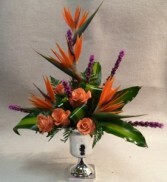 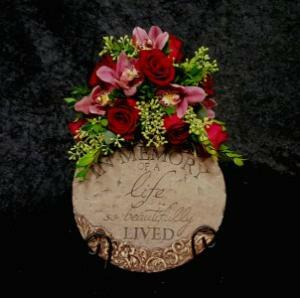 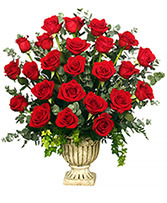 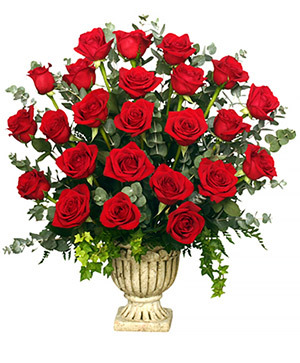 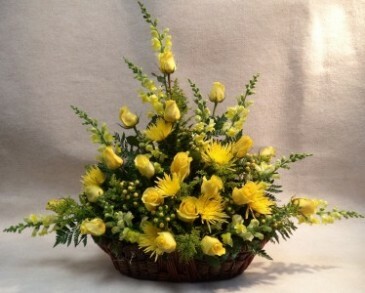 Funeral Flowers from CHRISTOPHER'S FLOWERS - your local Port Huron, MI. Soft pink or peach roses nestled between luscious Hydrangea's, Snap Dragons and berries to accent. 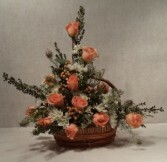 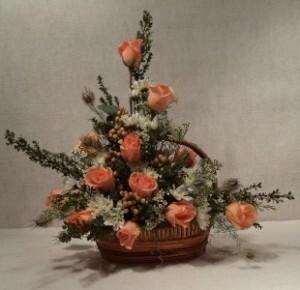 With a pop of curly willow in the arrangement for a dramatic flare. 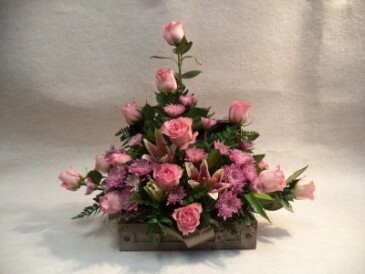 Single rose color can be changed to suit your taste. 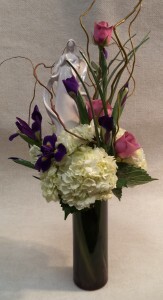 Iris are seasonally available. 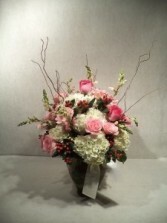 Another selection will be made by the designer. 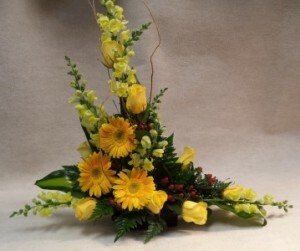 A beautiful mix of yellows, including gerbera daisies, roses, and snapdragons. Subject to availability.